Streamlabs OBS - Remote Control Not Working? To use Streamlabs OBS Remote you need to have a phone capable of running the latest version of Streamlabs: Livestreaming app. Download it from the Android Google PlayStore or Apple AppStore! Android version 4.3 or higher. iOS version 10 or higher. Have Streamlabs: Livestreaming app on your phone up-to-date. Connect your mobile device to the same local network Streamlabs OBS is on. Make sure that 'AP Isolation' or 'Access Point Isolation' is not enabled. 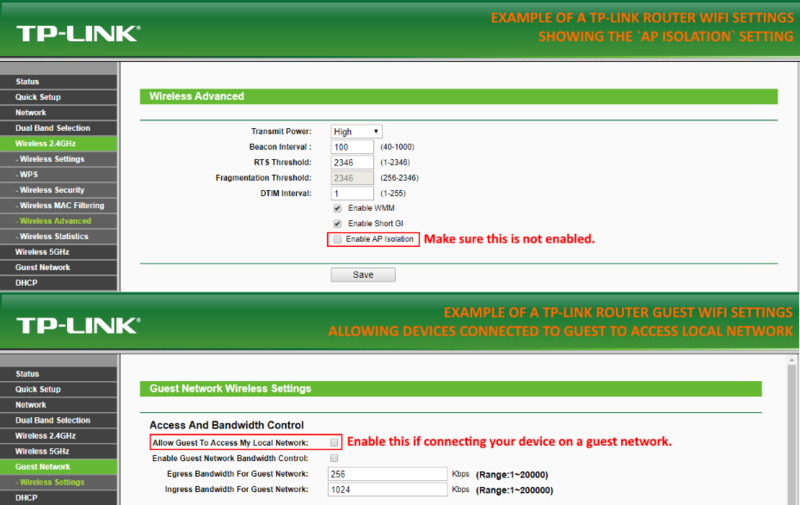 If using a guest wifi point, allow devices to access the local network. Allow Streamlabs OBS through the firewall. Open Streamlabs OBS ⚙️Settings > Remote Control and click SHOW on the QR-code. Start the application on your phone and go to Remote Control. Scan the QR code with the scanner. If your camera is freezing when you try to scan the QR code try enabling Use pre-L Camera APIfound under Settings -> Broadcast and try scanning the QR code again. If this still did not resolve the issue, try the connection method for a broken camera. If you are still unable to connect to Streamlabs OBS, and you are sure you have opened the firewalland are on the same local network, go to ⚙️Settings > Remote Control and click SHOW on the blurred QR-code and then click Show Details below the QR-code and Generate New to generate a new API key. After doing so reboot your computer and try connecting the Streamlabs Remote again by scanning the QR-code. This solution might also work if you are able to run the Streamlabs: Livestreaming app on an unsupported device where it notifies you about that the QR scanner is not available yet, like the Kindle Fire 5th Gen. If you have a mobile device with a broken or no camera and would like to use it for the Streamlabs OBS Remote Control you could try the following steps to connect the Streamlabs: Livestreaming app to Streamlabs OBS. Follow Step 1 to 5 of the "Connect RC Over Local Network" steps listed above. Take a snapshot of the QR code and save this locally on your computer. You can use win-key+shift+s to take a snip of a region. Windows 10 has a built-in Snipping Tool to snip a region and save. Other third-party apps around can do the same. Decode the saved QR-code with a decoder like this website. Copy the raw or parsed text and email the link to yourself. Open the email on your mobile device and open the emailed link with Streamlabs: Livestreaming application. It is possible to connect the RC via the internet but some advanced network knowledge might be required. Also, do keep in mind that if your home internet is on a dynamic IP address from your ISP that this IP can change and that you need to adjust this accordingly if changed. You can also use something like noip.com. Make sure that RC is connected via Local Network first. Open and forward port 59650 in your router to the computer running Streamlabs OBS. You can change the default 'external' port, but forward to 59650 internally. Open Streamlabs: Livestreaming app on your mobile device. Head to ⚙️Settings -> SLOBS Remote Control. Change the IP to your Public IP address or address (noip.com). To get your public address you can check out whatismyip.com. If you used another port to forward replace the default port. Press OK and head back to Remote Control. Where can I find cool gifs and sound effects?